How do you say thanks on Mother’s Day? Obviously I’m not a mother, but I know being a mom is one of the hardest, yet rewarding jobs a woman will ever have. With less than a month away from Mother’s Day, it’s Sunday, May 12 if you forgot, I thought it was time to honor all those strong, talented and beautiful moms everywhere. To the women out there who put others wants and needs above her own, who worries more about her family than herself and who love and support us know matter what, this month we celebrate YOU! It’s time to pamper your mom this season, as we all know she deserves it. This Mother’s Day take the time to let all the women in your life know how much you love and appreciate them. Don’t forget about the fur mama’s out there too, they could use some extra loving on this special day. I’ve teamed up with my amazing friends at Avon to give one lucky lady the chance to win all these wonderful gifts below. Just in time for Mother’s Day, give your favourite, deserving mama the gift of relaxation. 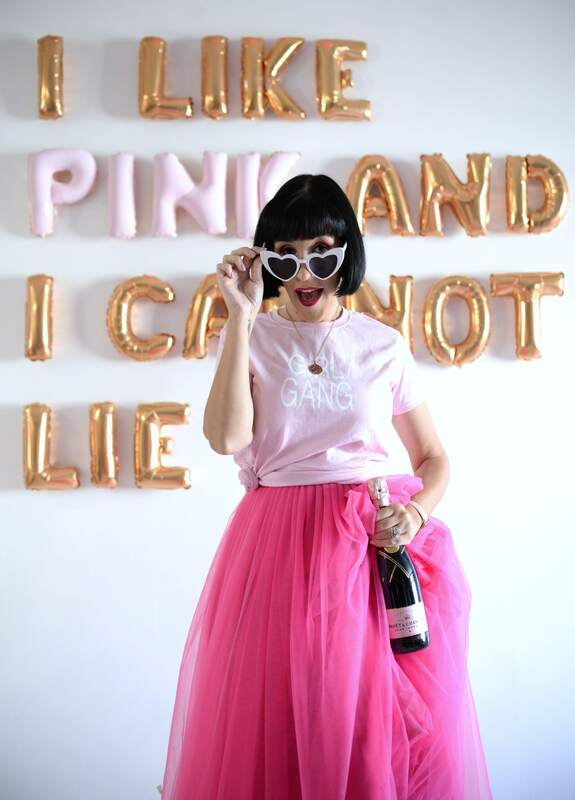 These gift ideas are more on the pampering side of things, because let’s face it, sometimes mama’s just need to kick back and be spoiled. 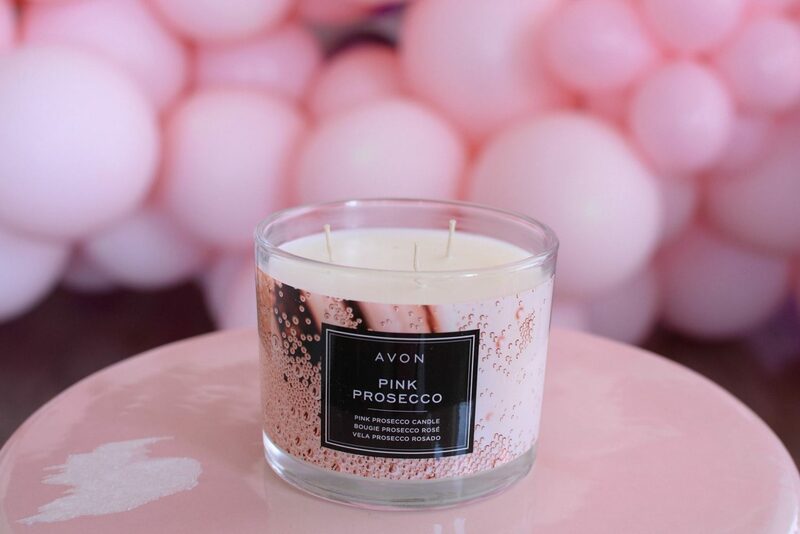 Help her set the mood with the new Avon Pink Prosecco Candle. 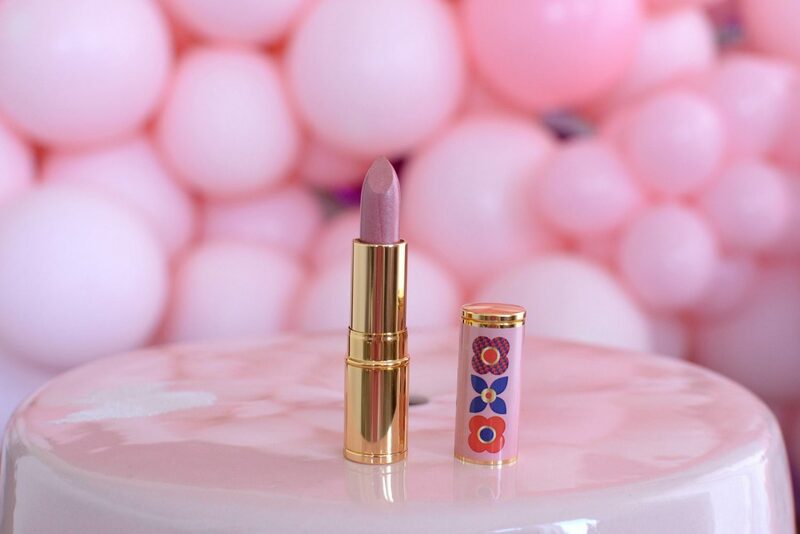 With its unique blend of tart berries, citrus and rose petals, it’s the perfect mix between sweet and fruity. 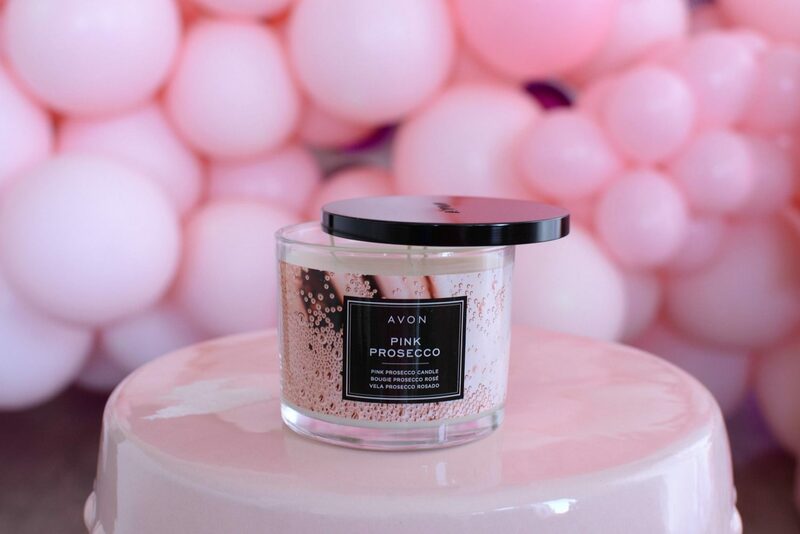 This luxurious candle is perfect for mamas who enjoy a pink prosecco in the evening, without having to worry about the morning after hangover hehe. On that rare occasion when a busy mom gets to enjoy a moment to herself, wouldn’t it be nice to treat her to a dedicant bath-time experience? 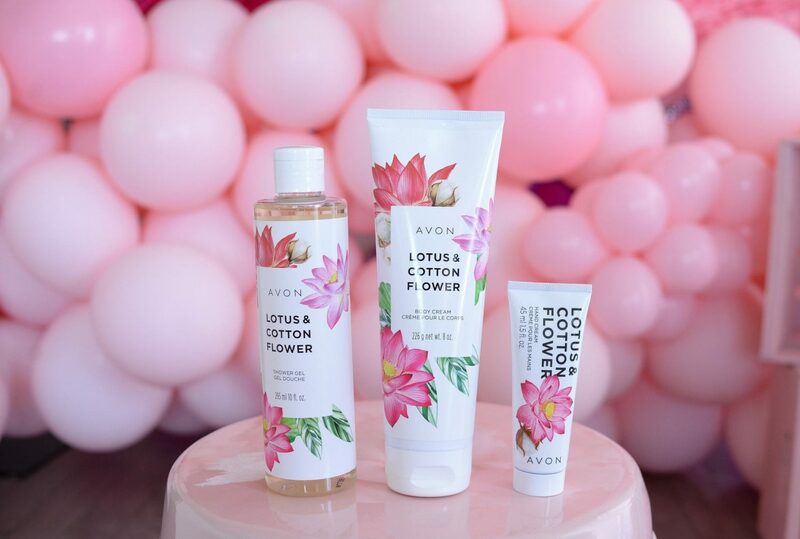 The Lotus & Cotton Flower is an uplifting collection that features both a shower gel, body cream and hand cream. Each product contains both pure lotus blossom, delicate cotton flower and sandalwood, to deliver a water-fresh, clean, and slightly powdery aroma. It instantly transports her to a lush garden that’s quite pleasant, somewhat fruity and sweet. The body wash helps to wash away daily dirt and grime, while the rich and creamy body cream helps to hydrate and soften the skin. The hand cream is purse and diaper-bag friendly and is enriched with shea butter and vitamin E to keep hands feeling soft, smooth and moisturized all day. 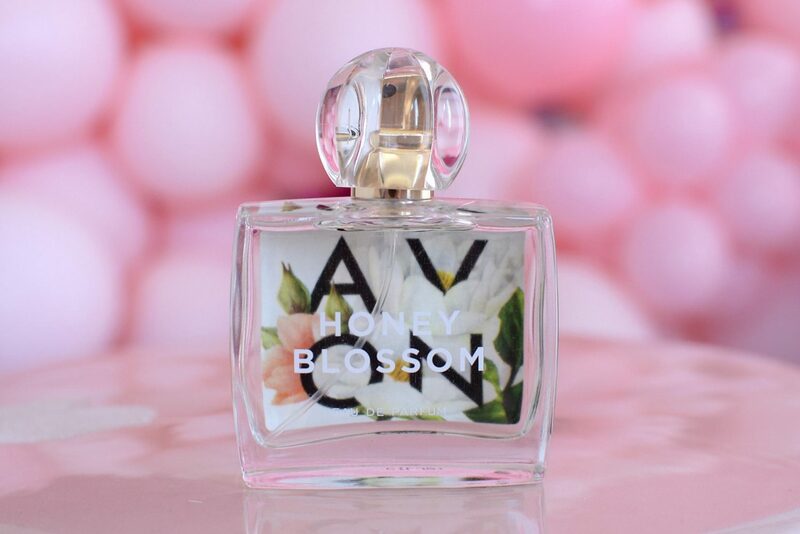 Help mom celebrate her true nature with the new Avon Flourish Honey Blossom Eau de Parfum. 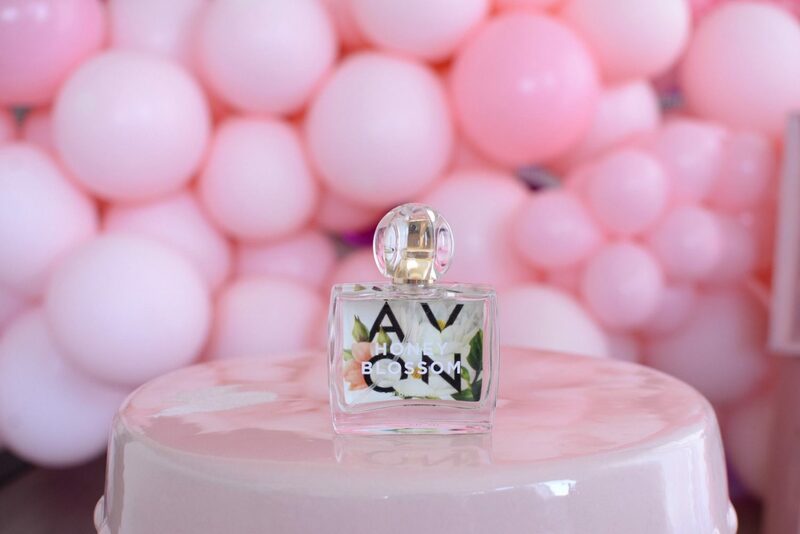 It features sparkling notes of apple bloom, a full heart of honeysuckle nectar and finishes with a radiant vanilla orchid. I can quickly see this becoming her signature scent. It’s light enough to wear daily, without interfering with her busy lifestyle, yet daring enough to keep it interesting and unique. It’s the perfect springtime fragrance, as it reminds you of having tea in an English garden. It’s soft, feminine and delicate without being too overpowering. It’s the perfect everyday scent. 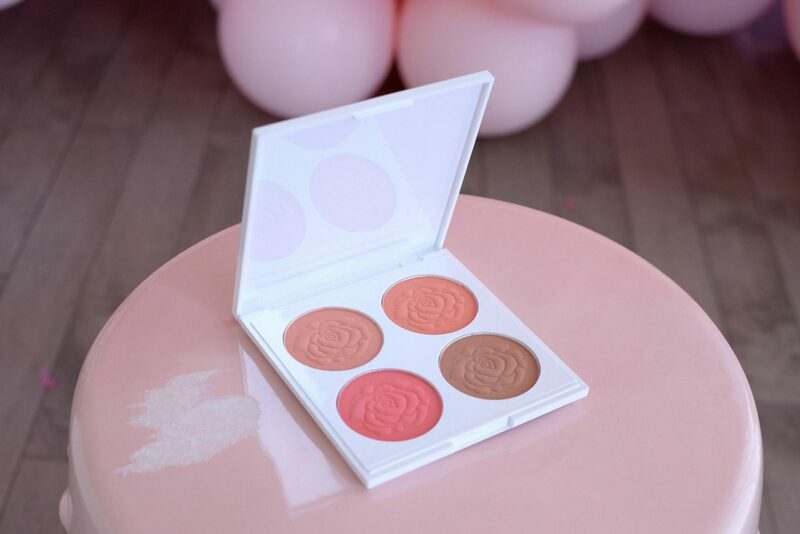 Sometimes all your need is a little pop of colour on the cheeks to fake the appearance of radiant, youthful and glowing skin. In a busy world where moms barely have time to get dressed in the morning, the last thing they want to be thinking about is a full-face of makeup. 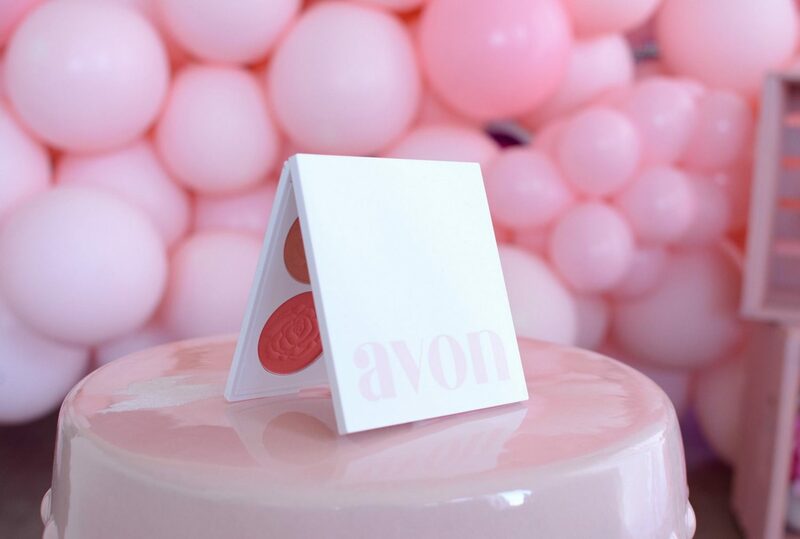 This is where the new Avon Iconic Blooming Blush Palette comes into play. 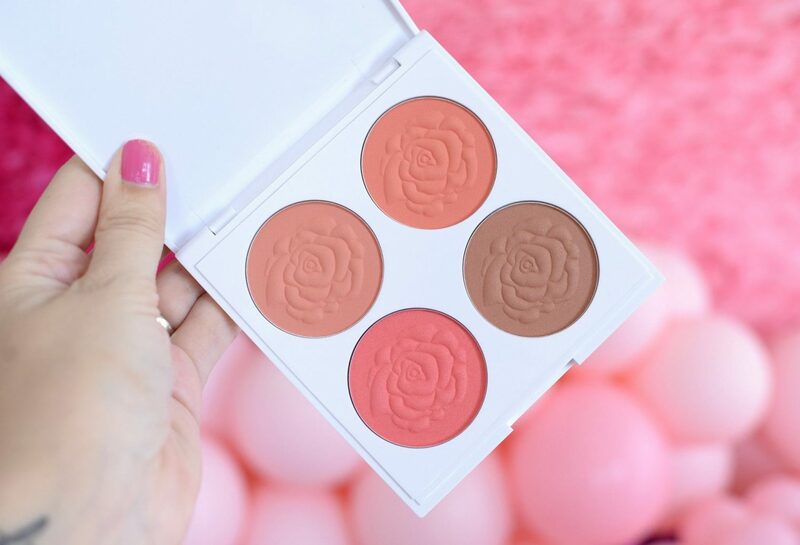 This 4-pan blush palette is not only embossed with rosette designs, it contains 4 extremely wearable blush and bronzer shades. Its intensely pigmented formula is a dream to work with, simply swirl a large fluffy brush in your colour of choice and apply to the apples of your cheeks. It helps to bring a little life back into a dull complexion. Speaking of quick makeup tricks, nothing is easier than bold lipstick. Again, a product you can quickly apply when you’re in a hurry but makes a huge impact. Avon Iconic Lipstick in Pink Blossom is the perfect “your lips but better” shade with just a hint of shimmer. It’s perfect when you just want to toss something on and be out the door. 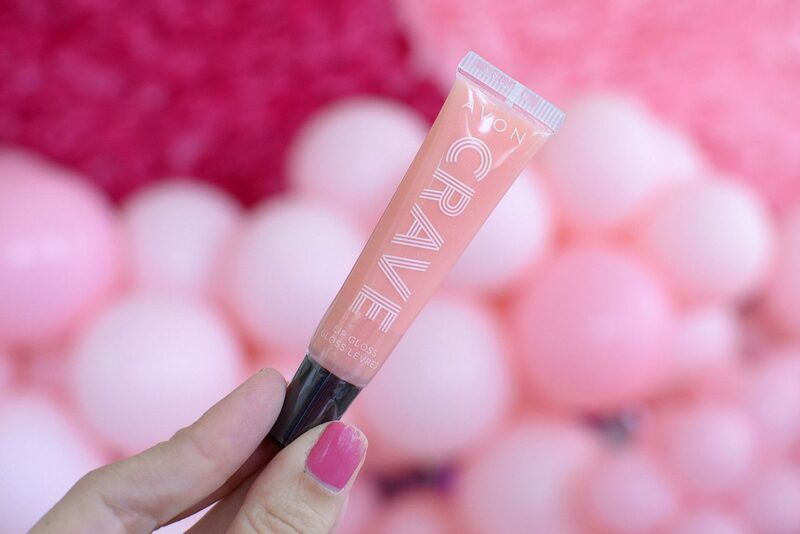 Satisfy your sweet tooth without the calories with Avon Crave Lip Gloss in Birthday Cake. It instantly helps to smooth and soften the skin for juicy, healthy lips. 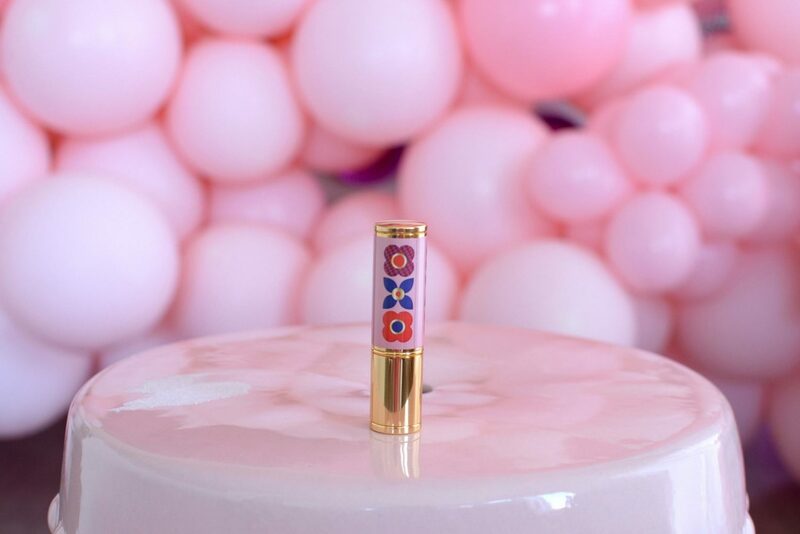 It has a slightly thicker, ultra-creamy texture that applies easily and smoothly on the lips. It has an almost moisturizing feel that’s incredibly lightweight. It’s comfortable on the lips with just a tint of colour. Just because we don’t get 8 hours of sleep each night, doesn’t mean we have to look like we’re sleep deprived. 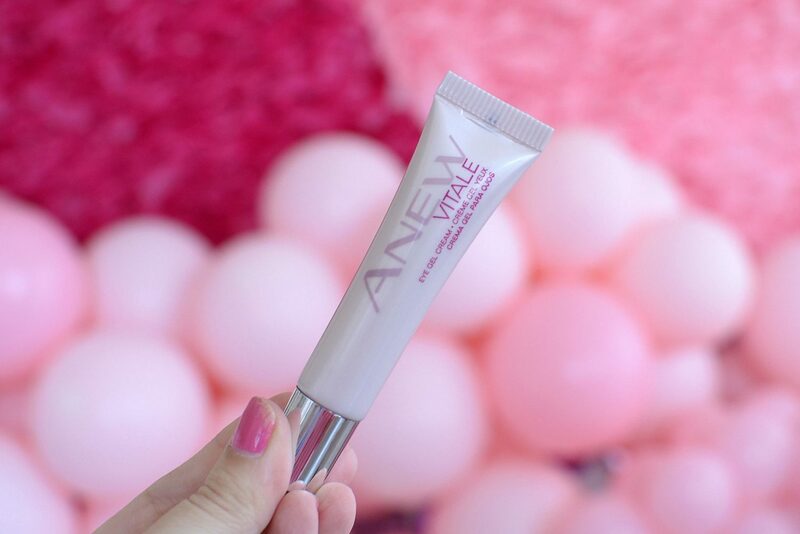 Avon Anew Vitale Eye Gel Cream instantly helps to depuff and soothe dark circles. Apply a pea size amount in the morning, under the eyes, along crow’s feet and even on the upper eyelid to help revitalize tired-looking skin. 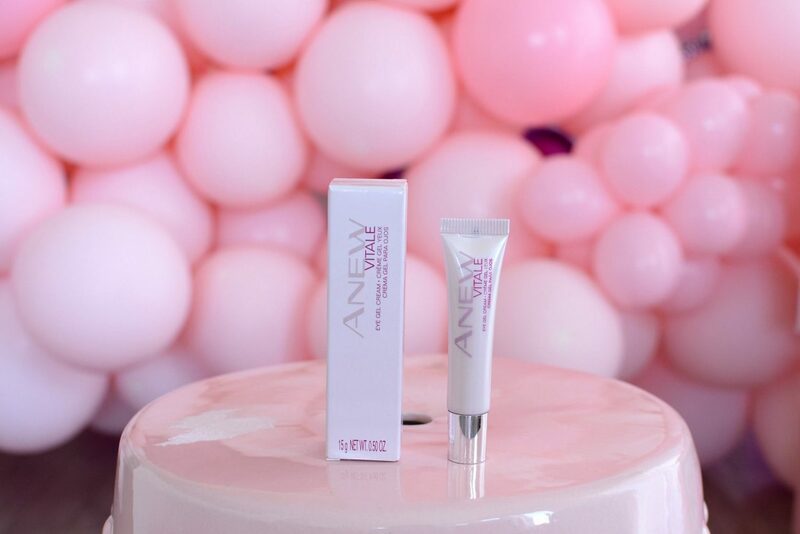 Its hydrating formula not only helps to soften and smooth fine lines, it fakes the appearance of well-rested eyes. 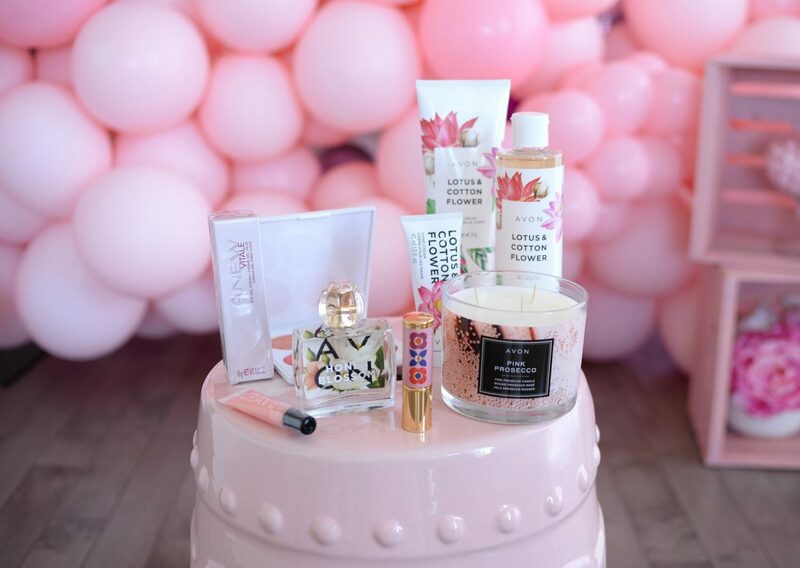 Enter below to win all these fabulous Avon Mother’s Day goodies!